If you have a Mac, you may already know that it has screencasting software, QuickTime Player, that allows you to make movies of your computer screen. A screencast is basically a movie of your computer screen, especially handy for showing how an app or specific software features work. 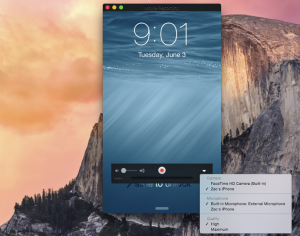 For those who have upgraded to OS X Yosemite, there’s even more you can do with Quick Time Player now: you can use the feature to record a screencast of an iPhone with iOS 8. You’ll need a device that’s running iOS 8 for this to work, as well as an 8-pin Lightning to USB cable – the same type of cable used for any newer iOS device, from iPhone 5 onwards. 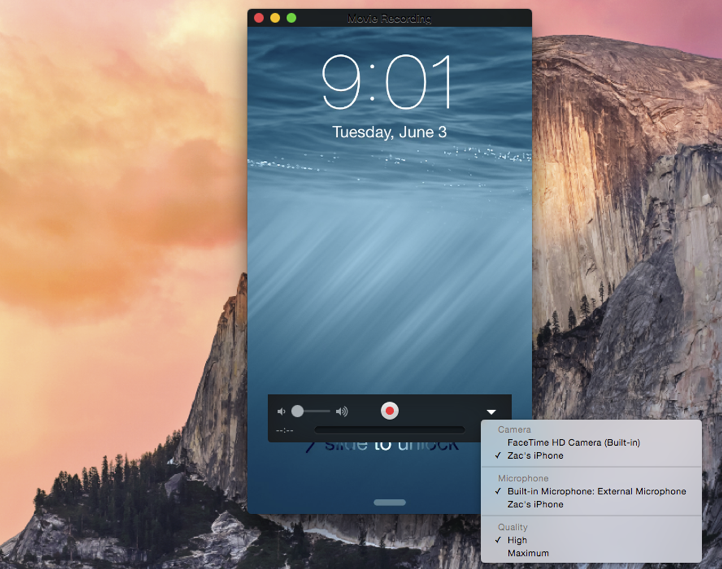 To make a screencast of your iPhone or iPad, simply open QuickTime Player on your Mac, choose “New Movie Recording,” and select your iOS device as a camera. Once you’re done, you can use the File -> Export menu in Quick Time Player to save the movie in .mov format. The new Quick Time Player feature most obviously aids developers who want to make app previews, but it could also help anyone who wants to make a demo video for their website or individuals who want to make quick recordings.